Flowers: what’s not to love? 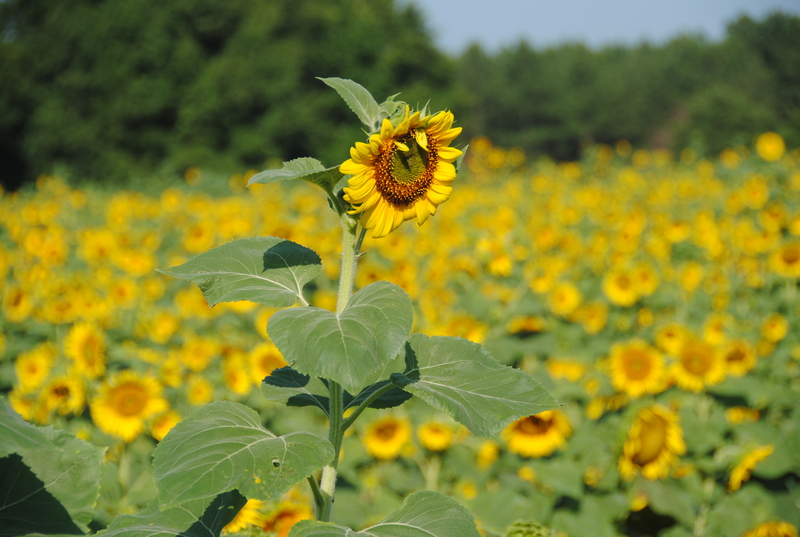 Sunflowers: what’s REALLY not to love? A field that’s acre(s) big and flowers at all stages of blooming. I’m 5’8″ and many were taller than I am–what a delight! Have you ever run through a field of flowers? Was it in a movie or real life? Visit your local farm, or this one in Rutledge Georgia for a festival in June. Can’t view the slideshow? Click here. Some of those photos look like paintings! And thanks for the progression of an evolving sunflower; had no idea how all that glorious yellow appeared from a green fist.